David was king of Israel. As king, David’s responsibility included protecting the Israelites by leading the army. In the springtime, kings commonly went to war with their armies. One spring, David sent out the army, and he put Joab in charge of them. The Israelites fought the Ammonites, but David stayed in Jerusalem. One evening, David was walking on the roof of his palace when he saw Bathsheba. Bathsheba was a beautiful woman, and she was the wife of Uriah, one of David’s best warriors in the Israelite army. David sent his messengers to get Bathsheba, and she came to David’s house. Later, Bathsheba told David that she was going to have a baby; the baby would be David’s. 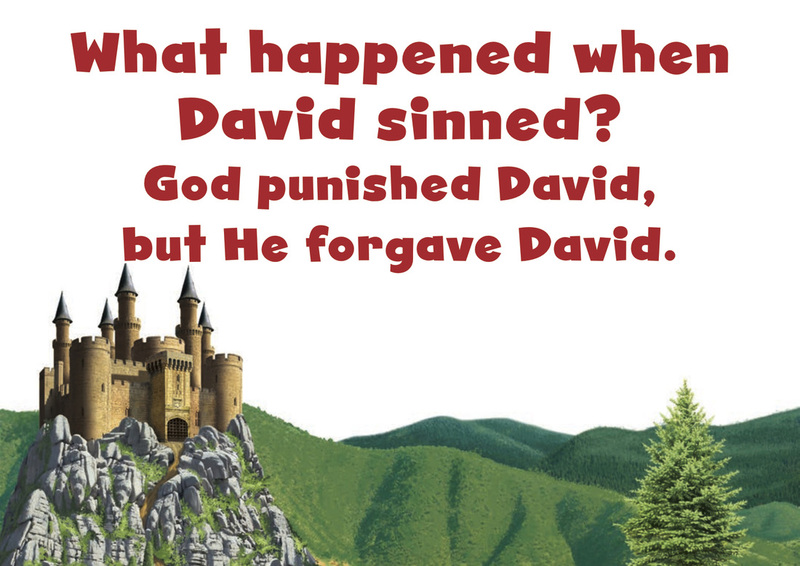 David knew what he had done was wrong. Bathsheba was married to Uriah. David should not have a baby with someone who was not his wife. But David had a plan to make sure no one found out that Bathsheba’s baby was his. David called Uriah home from the battle and told him to go spend time with his wife. But Uriah didn’t think it was fair for him to relax at home while the other men were at war. He slept on David’s doorstep and refused to see his wife. No matter what David did or said, Uriah did not go home. David’s plan was not working, so he made up another plan. This time, he instructed Joab, the leader of the army, to send Uriah into the hardest part of the battle so he would be killed. Joab did what David wanted. He sent Uriah to the place where the fighting was most dangerous, and the Ammonites killed Uriah. 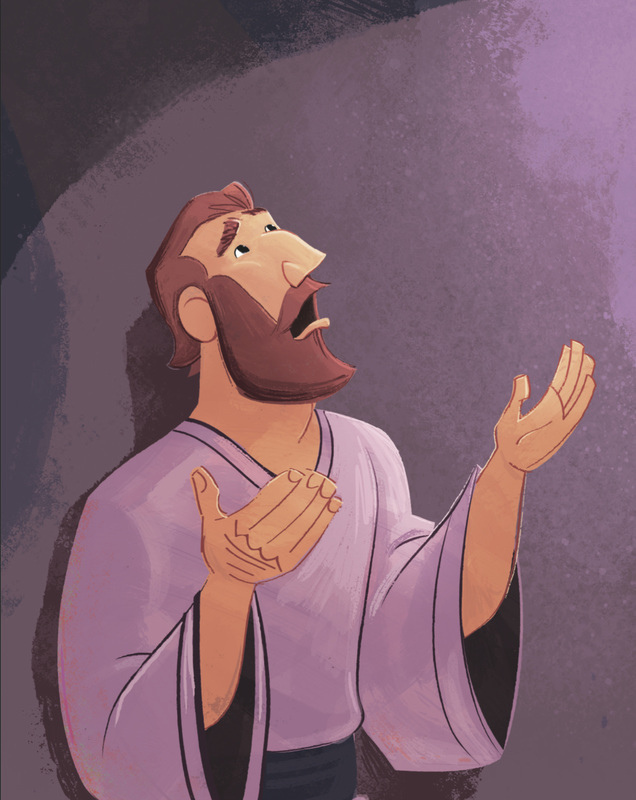 Joab sent a messenger to David to deliver the news that Uriah was dead. When Bathsheba heard that her husband was dead, she was very sad. David took Bathsheba into his house to be his wife, and she gave birth to a baby boy. 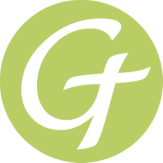 ​It seemed as though David had gotten away with his sin, but God knew what David had done, and God was not happy with David. God sent Nathan the prophet to talk to David. Nathan told David a story. After Nathan spoke to David, David wrote a psalm. He confessed his sin and asked God to restore him. 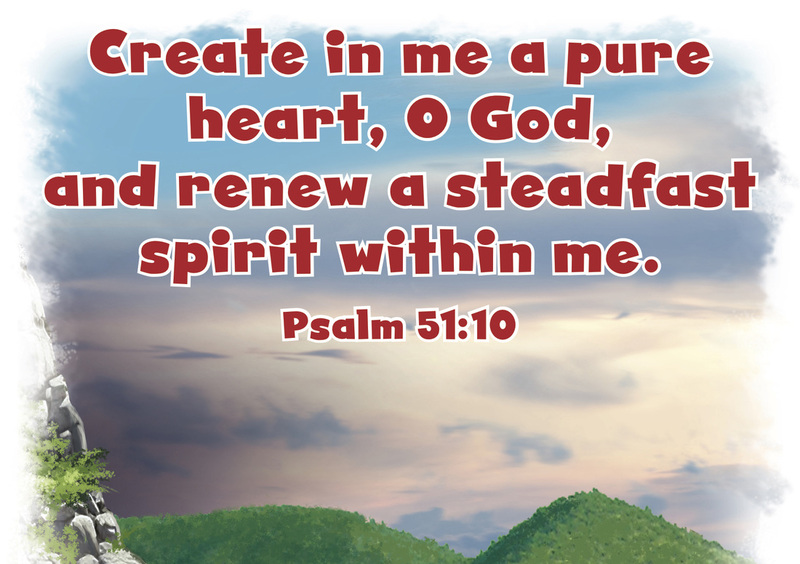 “God, create a clean heart for me,” David prayed. David realized he could try to make sacrifices to please God, but that wouldn’t be enough to pay for his sin. God wanted David’s heart to change so that he would not want to sin again. Christ Connection: When David sinned against God, God forgave him, but sin always comes with a price. God spared David’s life, but David’s son died. 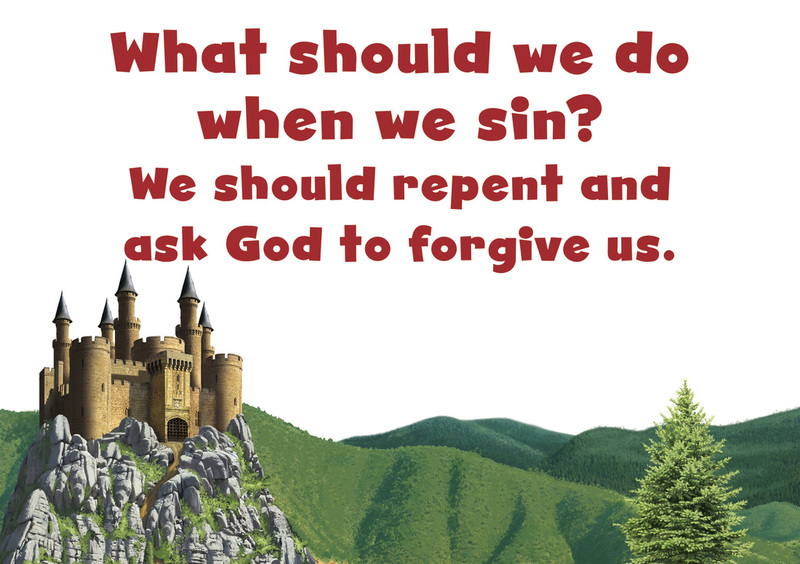 When we sin, we can receive God’s forgiveness because God sent His Son, Jesus, to pay the price for our sin. Jesus died the death we deserve so that we could be made right with God.